I made this crochet heart last summer when I was about to be married to use it as a ring pillow. 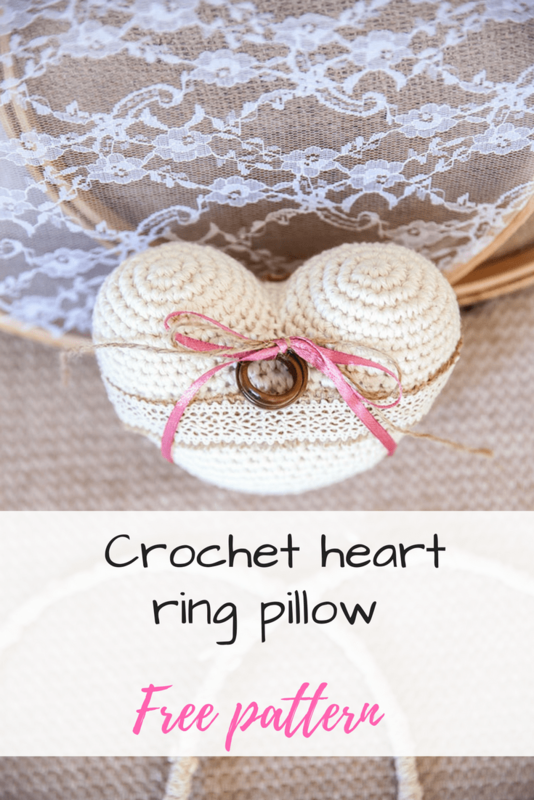 Ring bearers are not common where I come from but since Pinterest has spoiled us all, I wanted to have my very own crochet heart ring pillow. You can also read all about my handmade wedding here. You know when something gets stuck in your head and you have to do it and right there and then? And exactly how you pictured it? This was one of those projects. I made my research online for ring bearers and found a lot of pillows and little pillow shapes but then I saw a heart and I was hooked. I changed my focus to crochet heart shapes -there are tons-, but nothing was exactly what I wanted. One was very big, the other very small, and the third was too pointy! 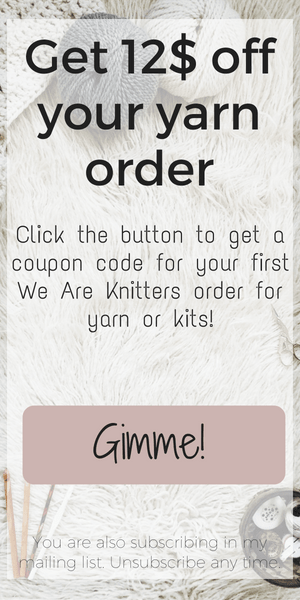 I gave up soon enough and started designing my own heart ring pillow with an aran weight cotton yarn I had chosen to be suitable for the occasion. The pattern is worked in a spiral, so do not join but use your stitch marker to indicate the beginning of a new round. Fasten off the first dome using the invisible finish off, cut yarn and make another dome. For the second dome do not cut yarn. Enlarge your loop and remove hook. Join the two domes together by using the tail from the first dome to sew stitches 13 and 14 of the second dome. This should leave 26 stitches in each dome. Fasten off and sew opening close. That is it! You are done! You have a perfect heart in your hands! 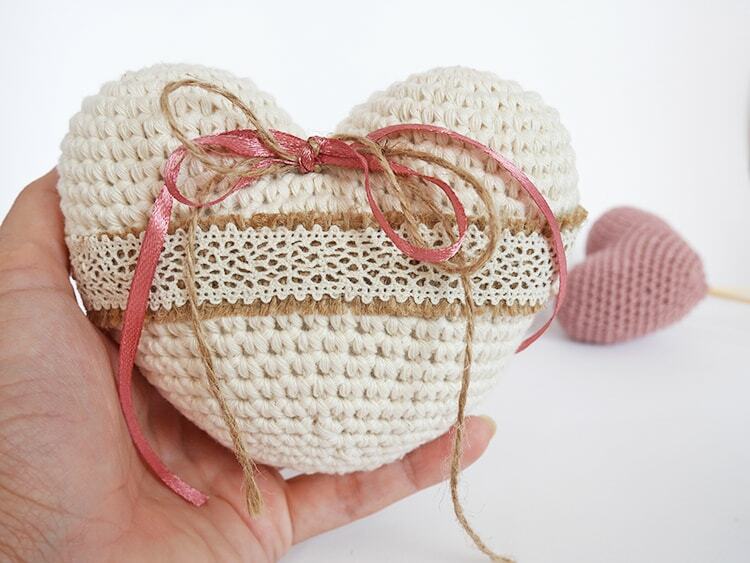 If you want it to be exactly like mine, use the silicon thread to sew the cotton lace on the strip of burlap and then the burlap onto the heart. Have you tried it? How did it turn out? Let me know in the comments below.